WILMINGTON — A Clarksville-area woman was placed under community controls for trying to carry meth into the Clinton County Jail. Leslie D. Saxon, 53, attempted to smuggle the methamphetamine into the county jail on Nov. 29, 2017, according to the indictment papers. 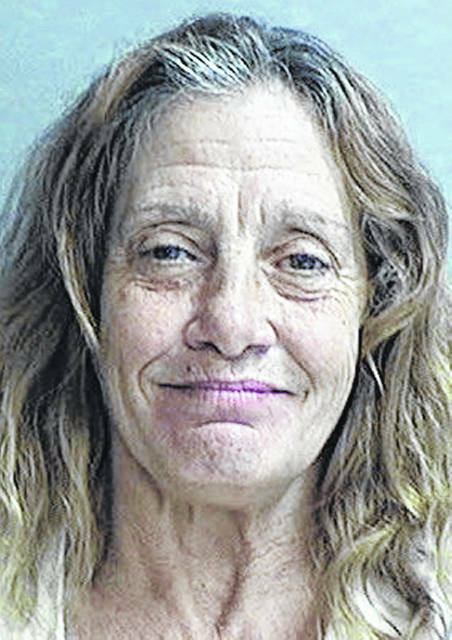 In a negotiated plea settlement she pled guilty to illegal conveyance of drugs of abuse onto detention facility grounds, classified a third-degree felony, while a second charge of possessing meth was dropped. While in jail in the case, she worked with Solutions and with Talbert House. Staff with the STAR Community Justice Center determined she is a suitable candidate for the STAR program if she can resolve medical issues that have surfaced. Clinton County Common Pleas Judge John W. “Tim” Rudduck stated in September that after reviewing the pre-sentence investigation report, he finds that STAR may be a viable alternative to jail or prison for the defendant. Prosecution was not seeking a prison sentence for Saxon if she were required to complete the STAR program as part of her community control sanctions. In sentencing her, the judge noted she previously served prison terms for his court. The three cases, all from 2010, had to do with illegal assembly of chemicals for manufacturing drugs, four counts of drug trafficking, and one count for receiving stolen property. Saxon may yet take part in STAR if the medical issues can be resolved, stated a court paper. At her sentencing hearing, 35 days of time credit were granted to her for time spent in jail on the case. If she breaks community-controls rules and those non-prison sanctions are then revoked, she faces a prison term of 12 months. At another common pleas sentencing hearing, Ashleigh P. Myers, 31, of Wilmington, convicted of receiving stolen property, received a two-year term of community controls. The community control sanctions include a period of residency at the STAR Community Justice Center in Franklin Furnace, Ohio. Myers also received a suspended six-month jail term, must pay all costs and a public defender fee, as well as make $355 restitution to the victim. The judge granted 47 days of time credit for time spent in the county jail. As part of the negotiated plea agreement, misdemeanor charges of petty theft and misuse of a credit card were dropped. In addition, a separate case alleging tampering with evidence was dismissed following a motion to dismiss from prosecution. In a 2015 case, Myers was found guilty of aggravated trafficking in drugs, and ended up receiving a 12-month prison term.